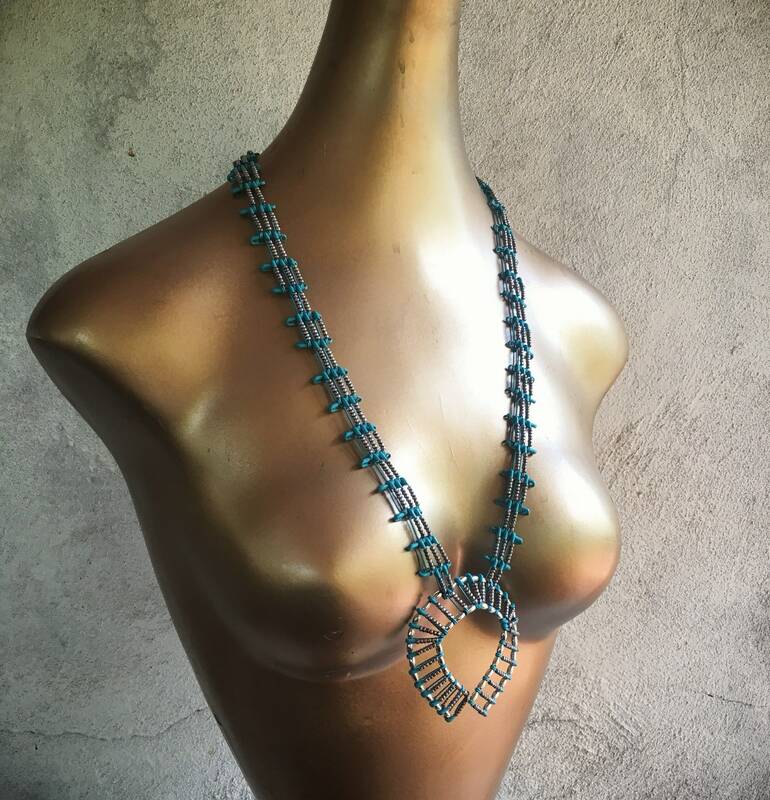 Safety pin jewelry made a huge comeback recently, but when I was in my 20s (in the 1980s) safety pin jewelry was all the rage. We all made and wore so many designs--safety pins made into brooches that looked like spider and scorpions, red-white-and-blue patriotic safety pin jewelry, and the ubiquitous safety pin squash blossom necklace! 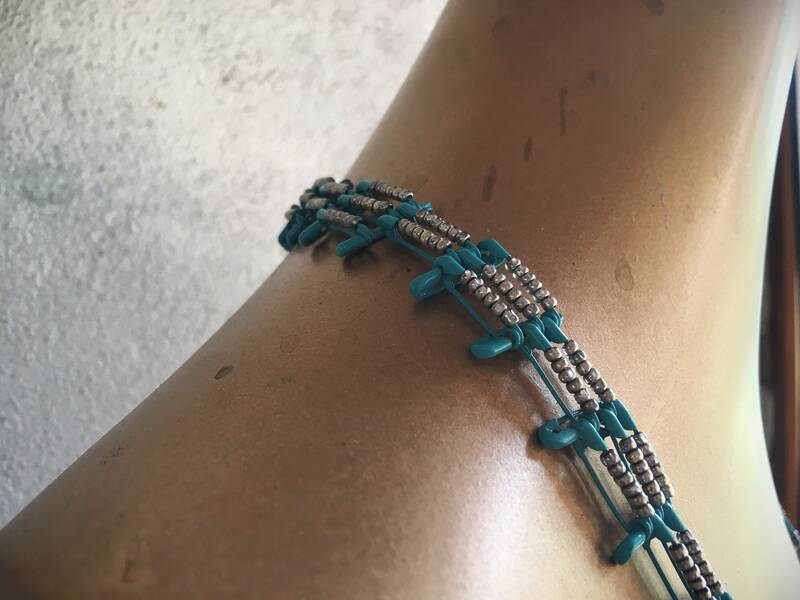 Yes, you would get turquoise colored safety pins and silver beads and follow a pattern, which is exactly what we have here. 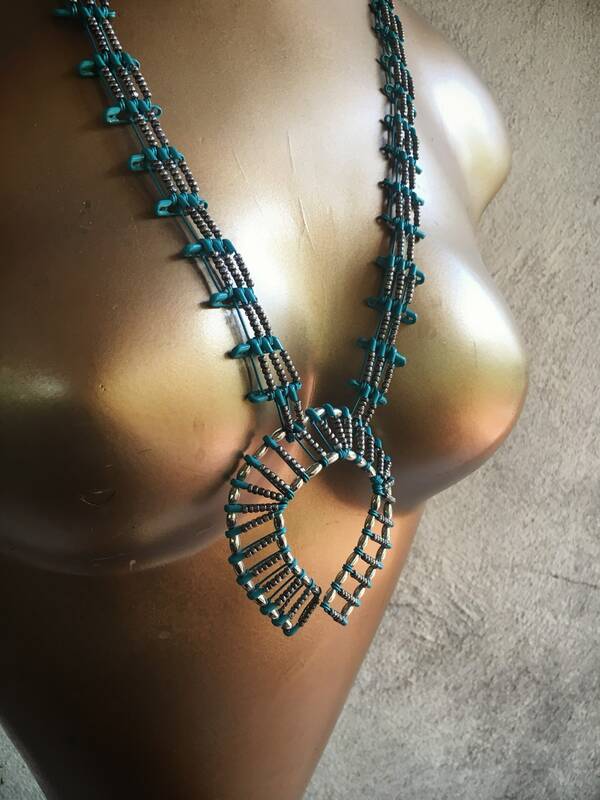 This was a time when there were limited patterns and information on how to make closures, so this particular necklace is over-the-head, as it has no clasp on the end, just a wire holding the starting and ending points. But it was made in the era of big hair, so more than likely it will fit over most heads. It's not roomy, but it did fit over my head of super curly hair just fine. 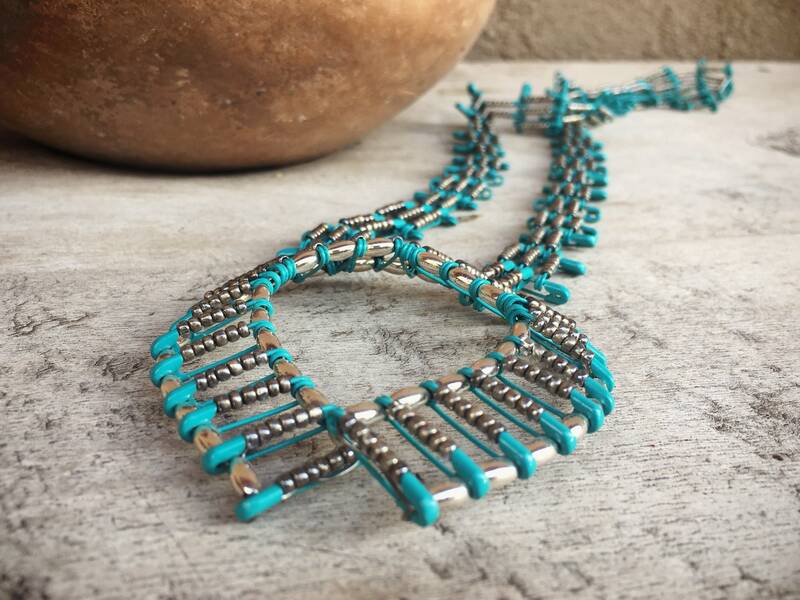 Fashioned after Native American squash blossoms, this safety pin necklace has what would be the "naja" or center pieces, and safety pins emanating out where the squash blossoms might be on a real version of this. 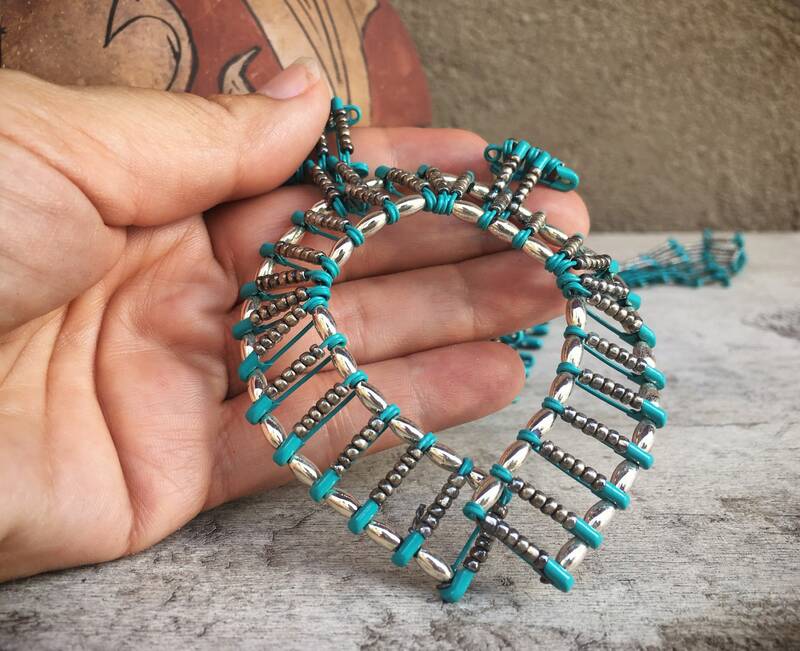 Super fun and in good shape, and perfect for the person who loves this trendy, kitschy form of jewelry. 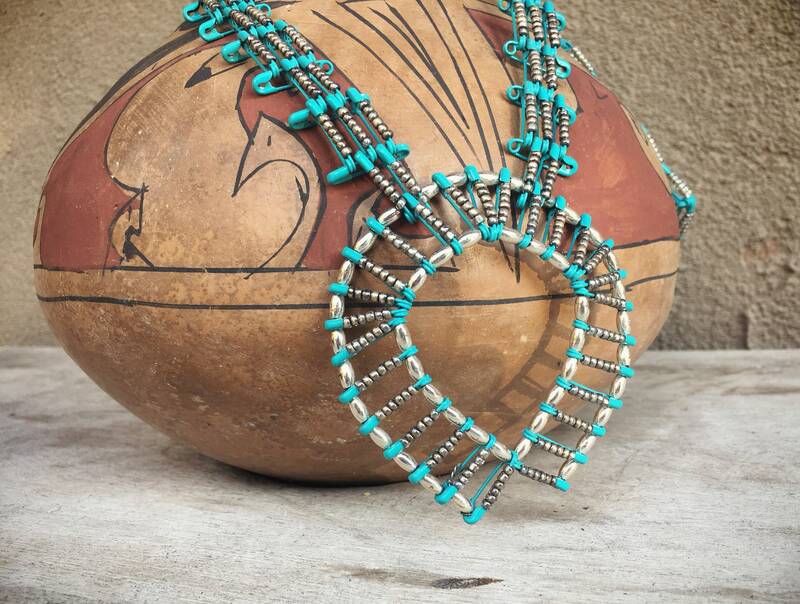 The necklace measures about 16-1/2" long when hanging, slightly less for the curve of the neck. 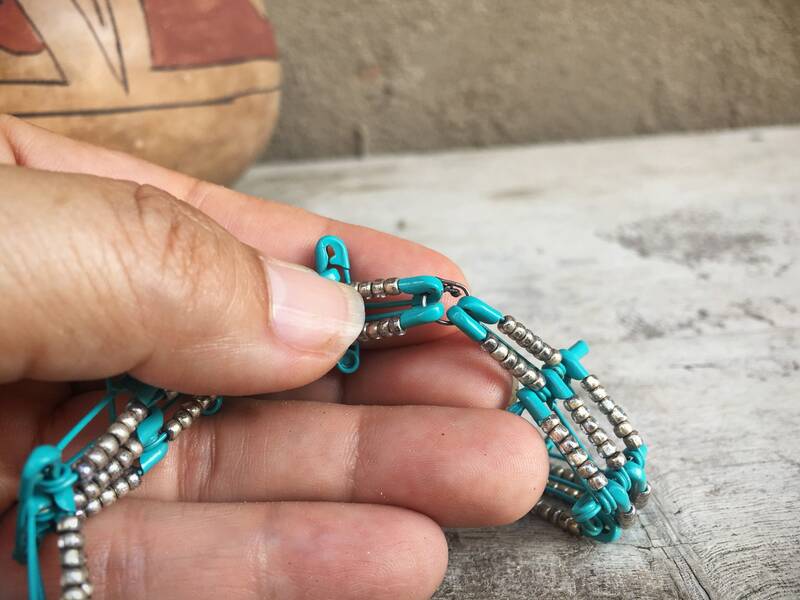 The silver tone beads are likely faux silver. Again, no clasp so need to place on and off over the head. 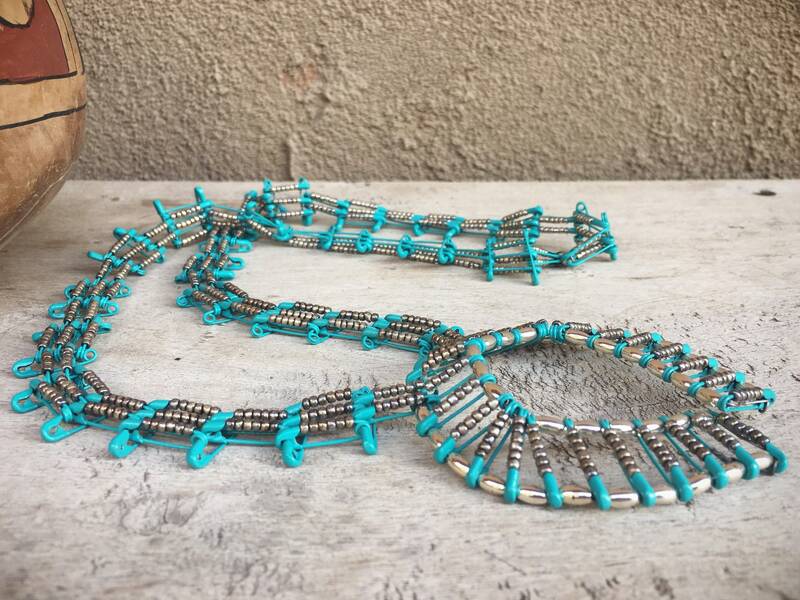 Safety pin jewelry meets the Southwest!